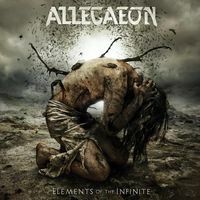 Denver's Allagaeon is back with their 3rd full length album on Metal Blade Records. After having spent some time in drummer-limbo, the band enlisted Brandon Park as their permanent drummer. Additionally, the departure of Ryan Glisan led to the addition of guitarist Michael Stancel. The re-tooled Allegaeon line up is fresh, hungry and ready to solidify the band's place within the elite, virtuoso-filled world of extreme technical death metal.